Extra Terrestrials Tee Design Review. The Extra Terrestrials tee design is for fans of all the important pop culture aliens. The concept for the Extra Terrestrials tee is a parody of the famous E.T. bike and moon scene. It not only includes E.T. but it features; Kang or Kodos from The Simpsons, an infant Metroid, Marvin the Martian, ALF, Spock from Star Trek, Yoda from Star Wars, Nibbler from Futurama, an Invader from Space Invaders, the Xenomorphs Grid from Alien, and The Great Gazoo from The Flintstones. And Let's not forget the panicked Elliot. As for the artwork, it is all silhouettes with white eyes and minor forced Pink highlights for definition. The illustration is simple and it is easy to make out the details. The Extra Terrestrials tee with many great franchises from various decades together in one design is a must have shirt for any Sci-Fi fan. 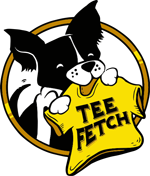 This is a great pop culture shirt that fits in anywhere. The Extra Terrestrials Tee Design by glenbrogan. Brain Invaders Tee Design Review. The Brain Invaders tee design is for Futurama fans and those that have fond memories of arcade games. 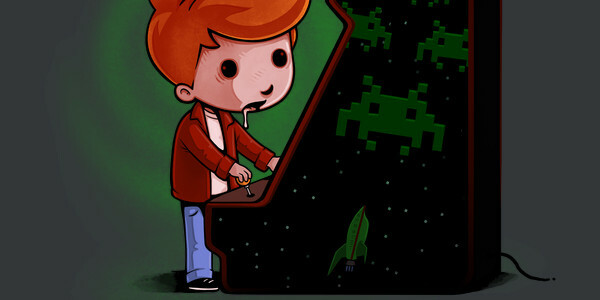 The Brain Invaders concept is a mash up that includes the 80's child Philip J. Fry. He is playing the Space Invaders arcade game (with the Planet Express Ship "Bessie" shown on the bottom) as a space invader is attached to his head like a Brain Slug. The Brain Slugs being a reoccurring character/creature thoughout the Futurama series. On a deeper level it pokes fun of how people are mind controlled in a hypnotic trance like state when playing video games or even while watching television. As for the artwork, the style is not that of Futurama but rather it is reimagined in some other cartoon style that uses Black eyes. The coloring is nothing short of awesome and is Futurama appropriate. The shading is decent as well with light from the screen shining on Fry's face. This Brain Invaders tee sums up Fry's generation well. This design is funny and suitable as a Futurama tee as any Earthican would agree. Brain Invaders Tee Design by Naolito.